경주 용강동 밭 가운데에 있는 고분으로, 1986년 경주고적발굴조사단에서 발굴하여 무덤의 성격을 파악하였다. 내부는 돌방(석실)을 갖춘 굴식돌방무덤(횡혈식석실묘)으로, 도굴에 의해 피해는 입었지만 각종 토기류와 토용, 청동제십이지상이 발견되었다. 길이 12∼21㎝의 토용은 홀(笏:신하가 아침에 임금에게 문안을 올릴 때 예를 갖추기 위해 두 손에 모아쥐던 패)을 가진 문인상과 무인상 및 여인상이 있으며 일부는 붉은색 물감으로 채색되었다. 이들이 입고 있는 옷을 통해 당시 신라의 복식을 재현할 수 있게 되었다. 토용의 출토는 순장제도가 금지된 후 토용을 이용해 무덤에 넣은 역사적 사실을 증명해주는 자료이기도 하다. 청동제 십이지상은 각 상들이 방위에 맞게 배치되어 있는데 당나라 무덤에서도 확인되고 있다. 무덤 주인과 시대를 확인할 수 없으나, 발견된 유물들로 미루어 보아 신라 진골귀족의 무덤으로 7세기 후반에서 8세기 전반 통일신라 때 만들어진 것으로 추정된다. 무덤 내부에서 토용과 청동제 십이지상의 출토는 우리나라에서 처음 발견되어 신라 무덤 연구에 새로운 장을 열어주었다. 또한 신라와 당나라의 문물 교류 관계와 통일신라 복식사 연구에 있어 중요한 자료를 제공해 주고 있다. 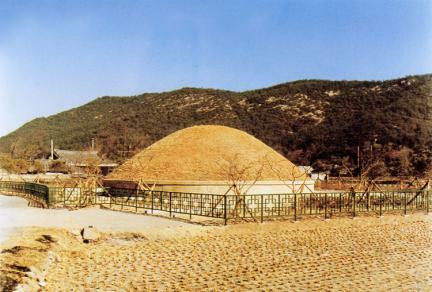 It is the tomb in the center of the dry field located in Yonggang-dong, Gyeongju and was excavated by the Excavation & Investigation Team of Gyeongju Relics in 1986, based on which the features of the tomb were known. Considering the structure of the inside, it is a stone chamber tomb with tunnel entrances with a stone chamber inside. 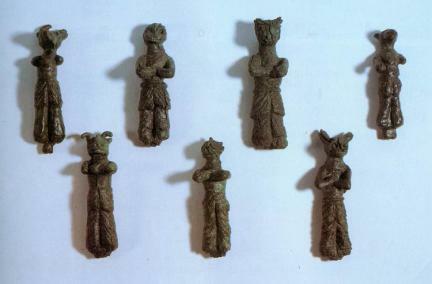 It was impaired due to robbery, but various earthenware pieces, clay mortuary figurine, and bronze statues of twelve zodiac animal deities were discovered. 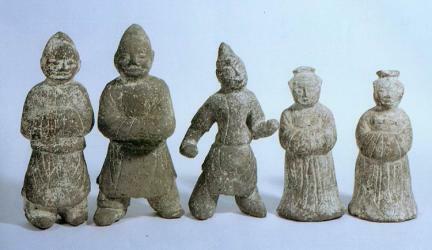 The 12~21㎝-long clay mortuary figurine consists of a civil minister statue with a tablet and a military minister statue and a woman statue. Parts of them are colored in red ink. The costumes that they wear represent the dress styles in Silla. 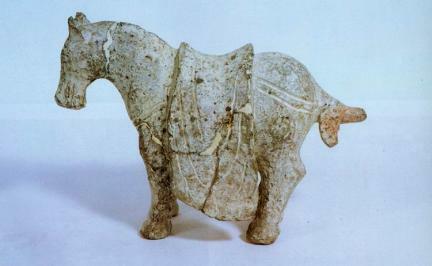 The mortuary figurine suggests that the figurine had been put into the grave since burying alive with the dead was prohibited. The bronze statues of twelve zodiac animal deities are appropriately arranged matching the direction of each statue, drawing attention because the figurine was discovered in a tomb of the Tang Dynasty of China. The tombstone with the record carved on the tomb was not excavated; thus, it is impossible to check the buried person and the corresponding age. 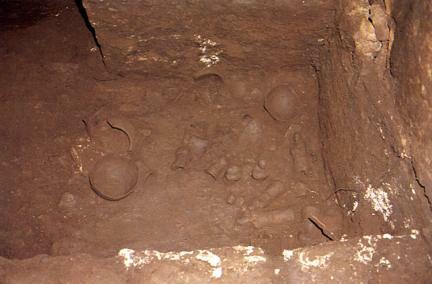 The discovered remains – the tomb of a noble – enabled estimating that it has been made in the Age of Unified Silla from the end of the 7th Century to the early 8th Century. The excavated mortuary figurine and the bronze statues of twelve zodiac animal deities inside the tomb were discovered for the first time in our country, opening a new stage of research for the tomb in Silla. 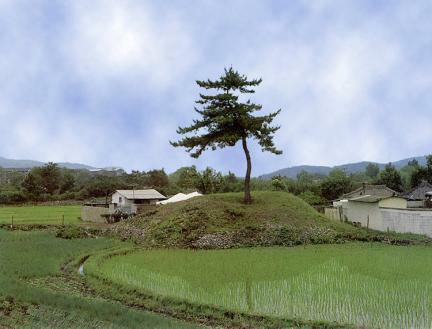 This serves as important material on the cultural exchange between Silla and Tang as well as for research on the history of dress style in the Unified Silla.